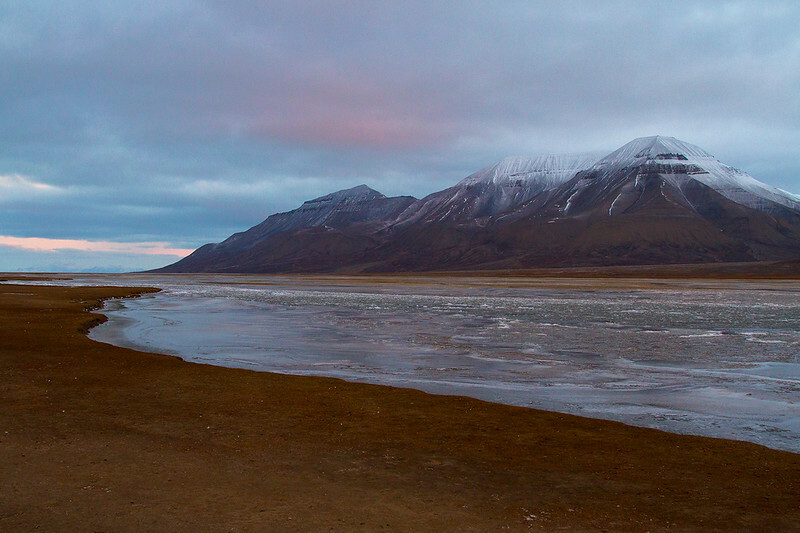 If you go to Longyearbyen, expect to see this kind of beauty everywhere. You’re heading to the far, far north and are working your way down your “to-do” list. You’ve worked out what you’re going to wear and you’ve compiled a list of activities to do. 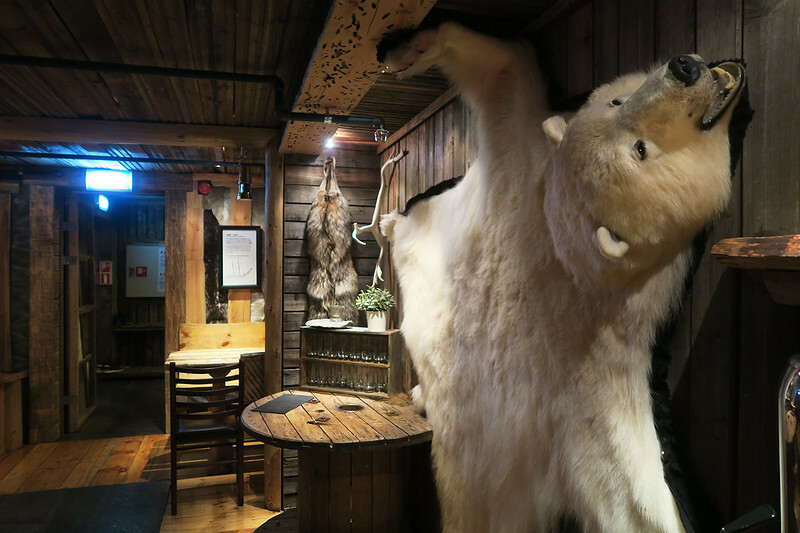 The next thing you need to do is figure out where to stay in Svalbard, a task within itself. 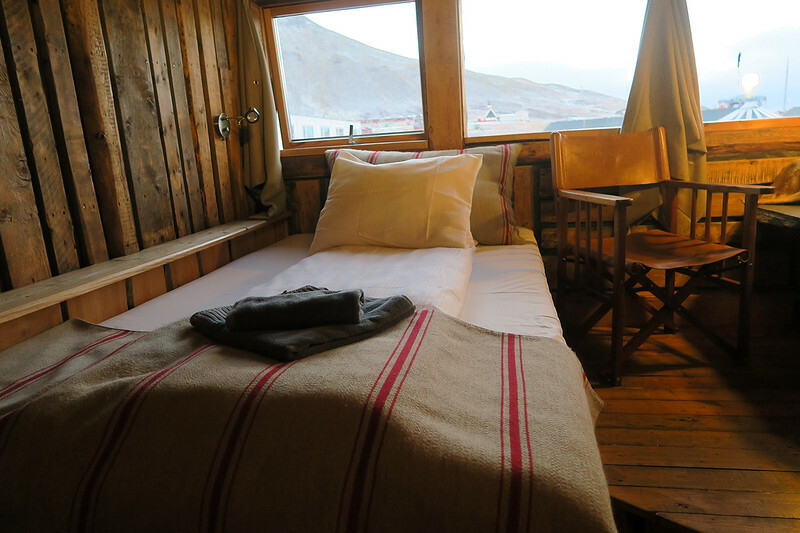 Svalbard accommodation options are varied, ranging from the “cheap” (for an expensive Nordic country) to the very quirky. Think cosy cabins and deserted hotels and you’ll get the picture of what’s on offer. I daresay it’s mostly due to coming from a country where the weather tends to go from hot to stinking hot, but I’ve always dreamt of having a cabin-in-the-woods type experience. And not like in the film with its rather hilarious killings… just your average, chilled weekend spent in a wooden cabin, with a roaring fire, piles of blankets and an endless supply of hot chocolate. The closest I’ve come to this, was when I travelled to Svalbard (that archipelago right at the top of the world) and stayed the night in the Spitsbergen Basecamp Hotel. The entrance to the Basecamp Hotel. Sometimes your accommodation during a trip is a means to an end. It’s the place where you store your stuff. Or, it’s a bed where you can lay your sleepy head down after a day of full adventuring. Yet every now and then, I like to make a point of planning a trip around the accommodation – whether that be camping overnight in a church, staying onsite at a zoo or sleeping by the sea in the Qatari desert. Not exactly how I’d hoped to first see a polar bear, I’ll admit. 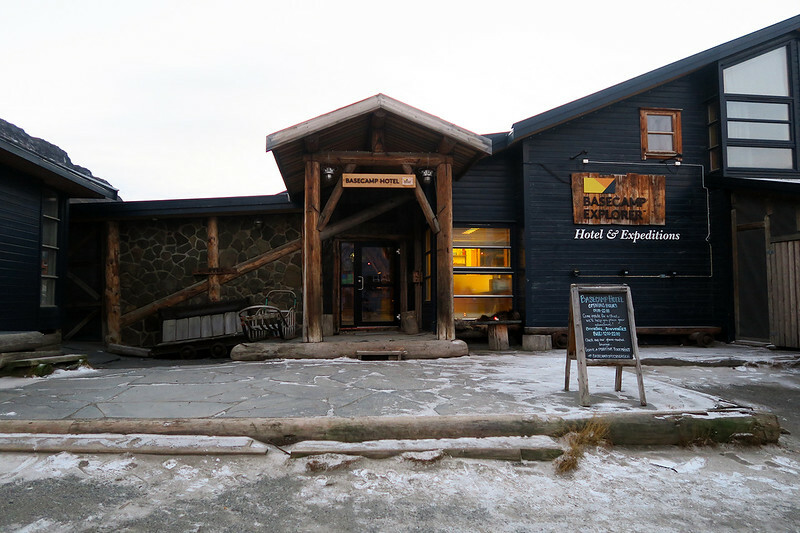 I’d read about this particular hotel in Longyearbyen online and had fallen in love with the single click of a mouse. I pictured a cosy setting, with wooden walls that were littered with maps and artefacts and some weird taxidermy. I wasn’t disappointed in the slightest. 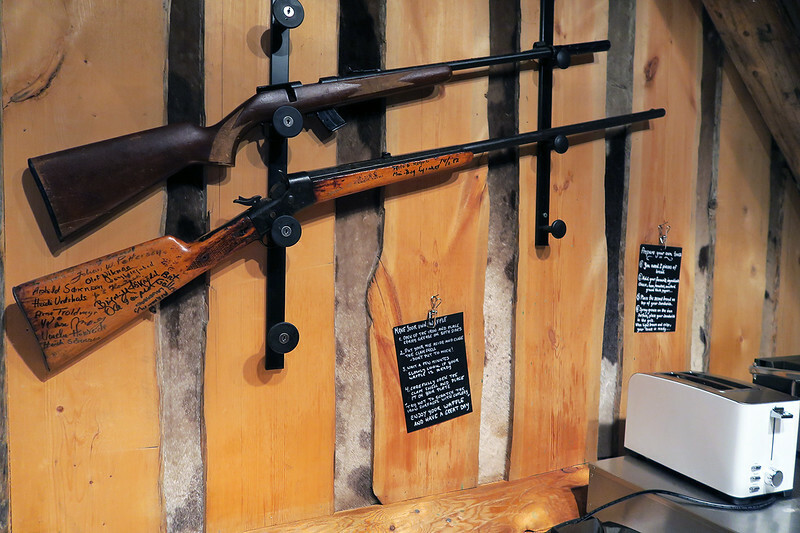 They’re serious in Svalbard when they tell you to “leave your guns and boots at the door”. The sort of thing shouldn’t delight me… and yet it does. We’d booked a twin room, which was furnished with two single beds, a small bookcase, a couple of comfy looking chairs and a small table. 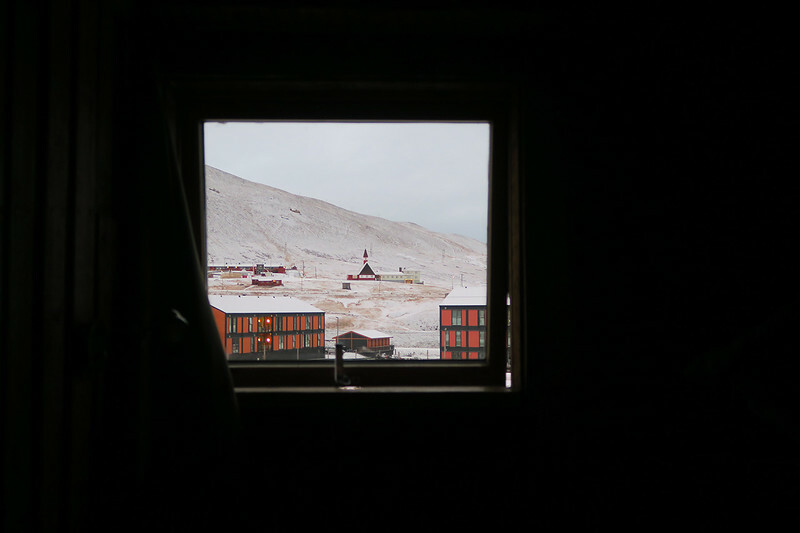 Our window looked out onto the city of Longyearbyen and there was an adjoining bathroom. The room was kept warm at all times – a comfortable room temperature, unlike other places around town, which were stiflingly hot. You’d walk inside and immediately feel the need to strip to your long johns. Or maybe it’s just me. I have a tendency to overheat. Well, the hipster hidden deep within me is satisfied. A room with a bookshelf will always get my vote. We spent a very cosy night here, sleeping the deepest of sleeps (after trying to spot the northern lights, which rudely did not deign to make an appearance). Best of all was waking up snug in our beds the next morning and looking out our window to be met with this view. 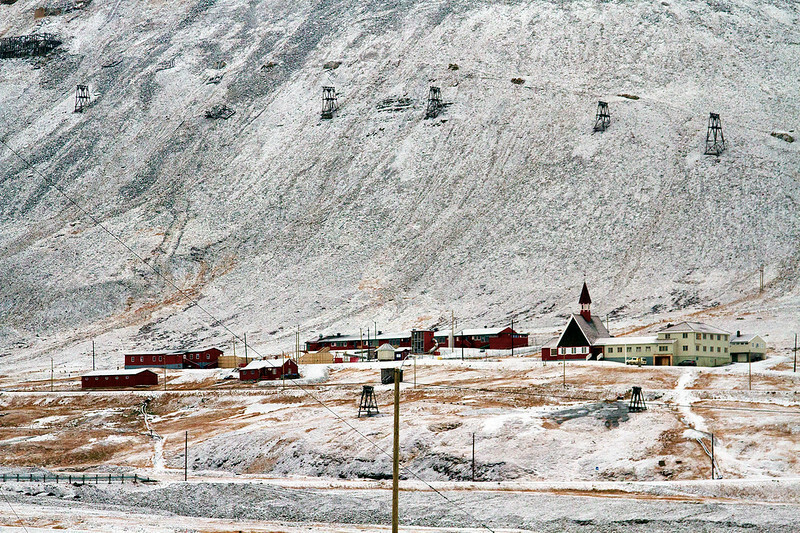 Old Longyearbyen in the distance, with a sprinkling of snow on the ground. It was truly magical. The view from our window the next morning. Breakfast is included when booking the hotel room and is typically Nordic – continental European, but with all the fish thrown in. As a seafood lover, I was delighted and piled my plate high with smoked salmon and paté. Can sit here and contemplate life, or just drink wine. The hotel is also located smack bang next to a local bar – appropriately named Svalbar Pub. This is a very important fact. We wiled many hours away in this establishment, eating reindeer pizza and drinking sparkling cider. Interested in checking the Basecamp Hotel out for yourself? Click here to see prices and current availability. Be sure to park your dogs here before entering the Radisson Blu Hotel. We spent two of our three nights staying at the Radisson Blue Polar Hotel in town, which was also jolly good fun. 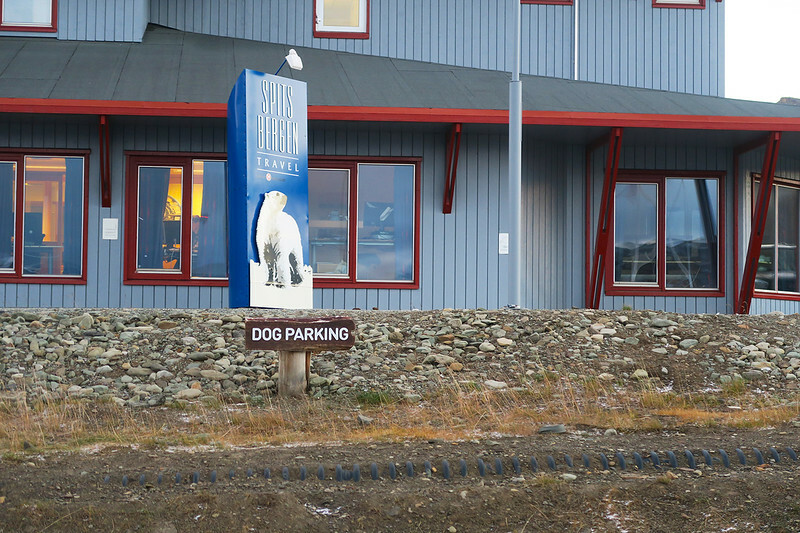 On entering, we were required to take our boots off at the door, as with many places in Svalbard. The hotel quite kindly provided purple slippers that you could pop on your feet and pad about the place in. There’s a bar attached to the hotel and a large dining area with massive windows, which look out onto the nearby mountains. We had dinner there our first night in town and it was a super tasty meal. 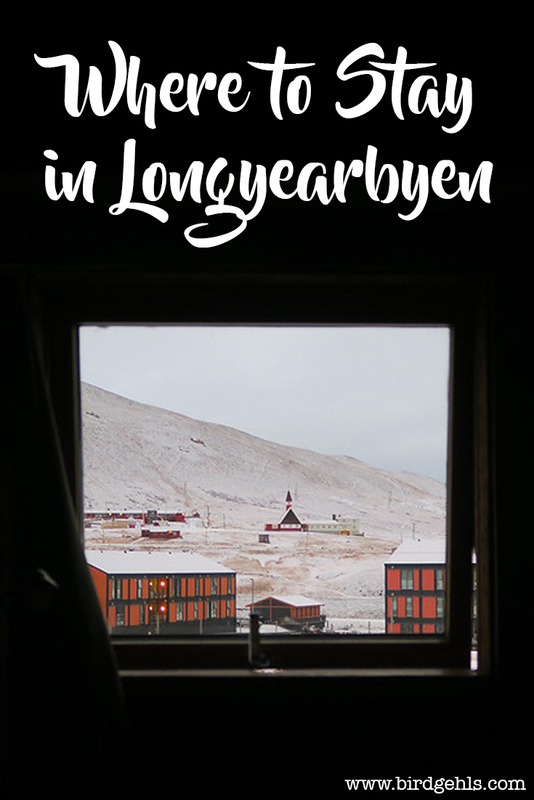 The whole thing felt very “Twin Peaks”-ish to me – I don’t know why, because that show definitely doesn’t take place in Longyearbyen. I suppose the general etherealness of the town gives off a cuckoo David Lynch type vibe. This hotel was originally built as accommodation for Store Norske Spitsbergen Coal Company and was considered to be the grandest building in Longyearbyen. There’s a lot of history to be found in these rooms – perfect for anyone wanting to discover as much as possible about this fascinating little city. 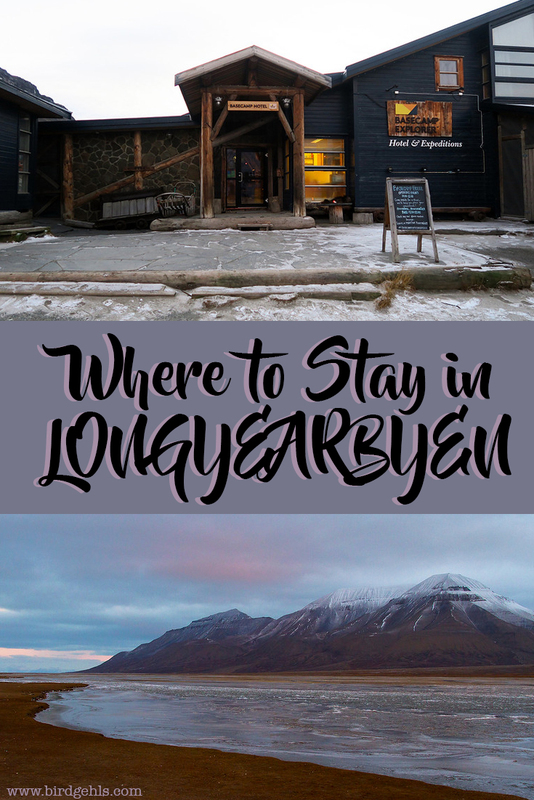 This hotel was a little bit further out of town than the ones we stayed at, but offers up pretty damn good views of the town of Longyearbyen, as well as the Lars- and Longyear glacier. And there’s a bar onsite – so you’re pretty much sorted. 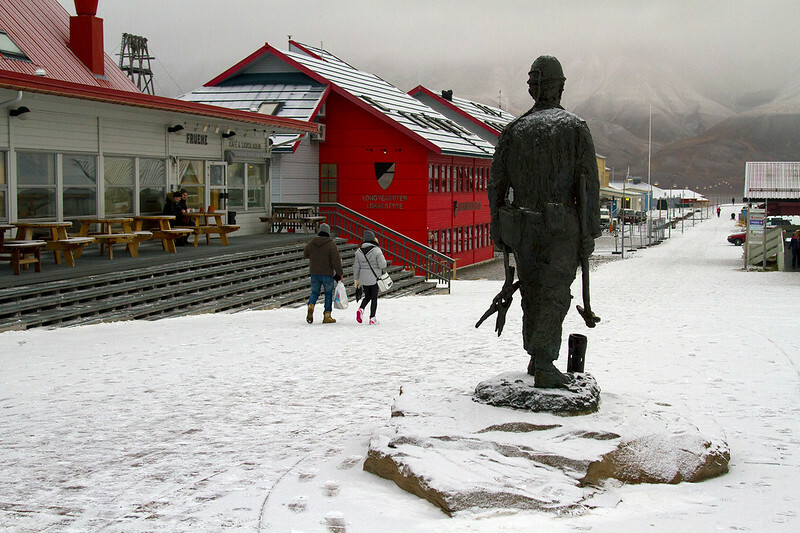 A nod to Longyearbyen’s mining history. 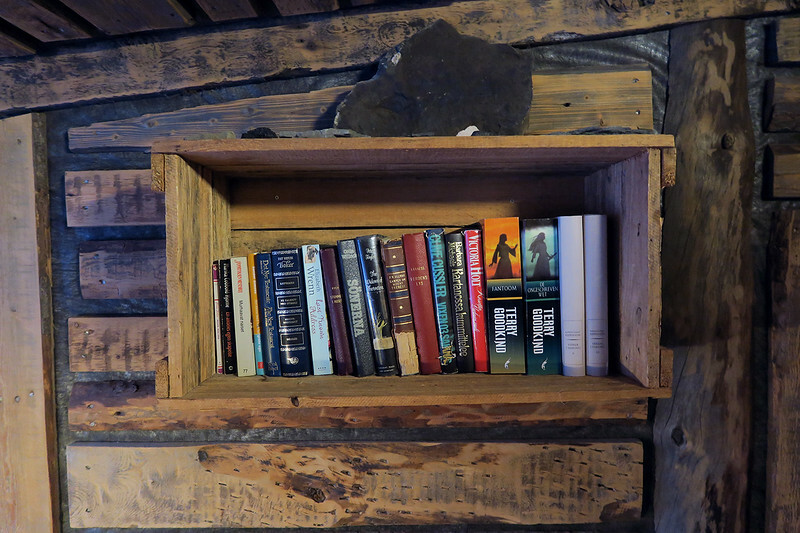 If you’re looking for somewhere cheaper to stay, the Coal Miners’ Cabins might be the answer. 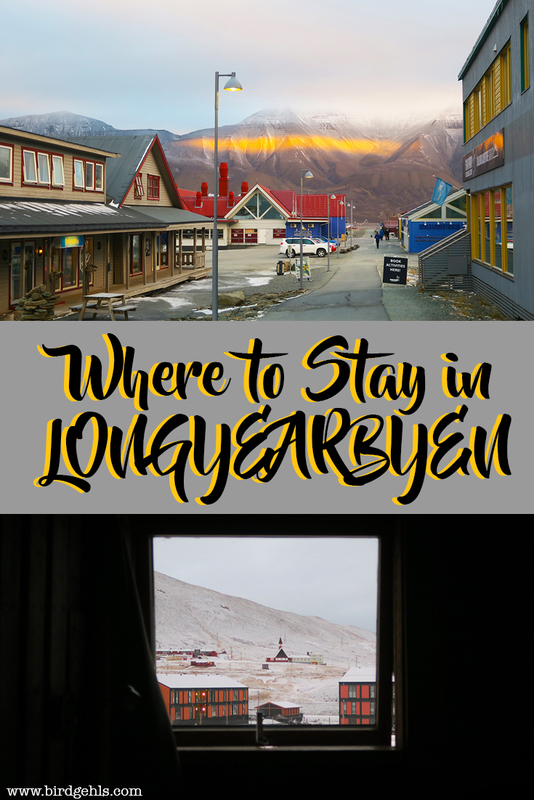 Although it’s within walking distance (or “cooee” as we say in Australia) to Longyearbyen, it was a bit further out than we would have liked, which is why we chose to pay the bit extra to stay downtown. 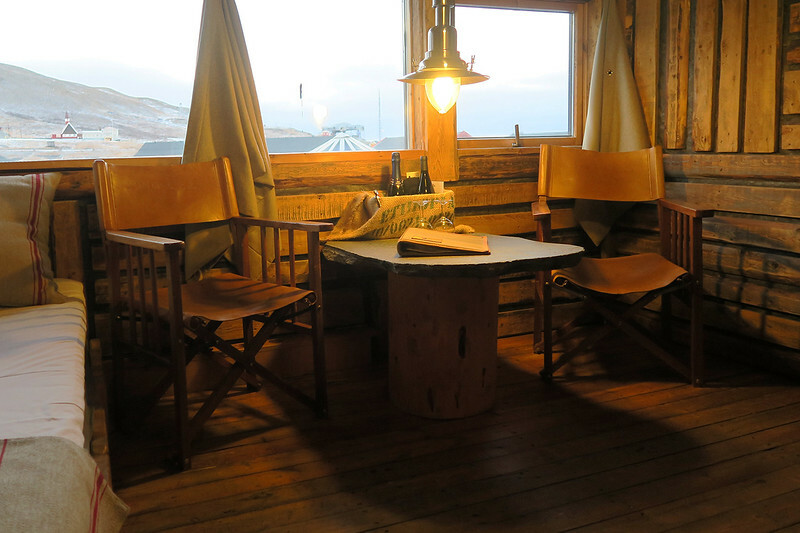 However, the cabins exist as another piece of Longyearbyen’s history and are ideal for those wanting to see how the miners who called the archipelago home may have lived their lives. And if you go to Pyramiden a ghost town which was once a Russian mining settlement, you can stay in Tulpan Hotel, although the hotel is only open March through to October. Pyramiden is accessible by snowmobiles in the winter (now apparently pending on where this global warming thing is going to take us) and cruiser boats in the summer. I am very upset with myself for not visiting this town, particular as it has the northernmost statue of Lenin in the world AND I WANT TO SEE IT. Apparently there is a caretaker who looks after the hotel during the winter, which makes me envision a “The Shining” type situation, which I suppose is something I shouldn’t be delighted about. 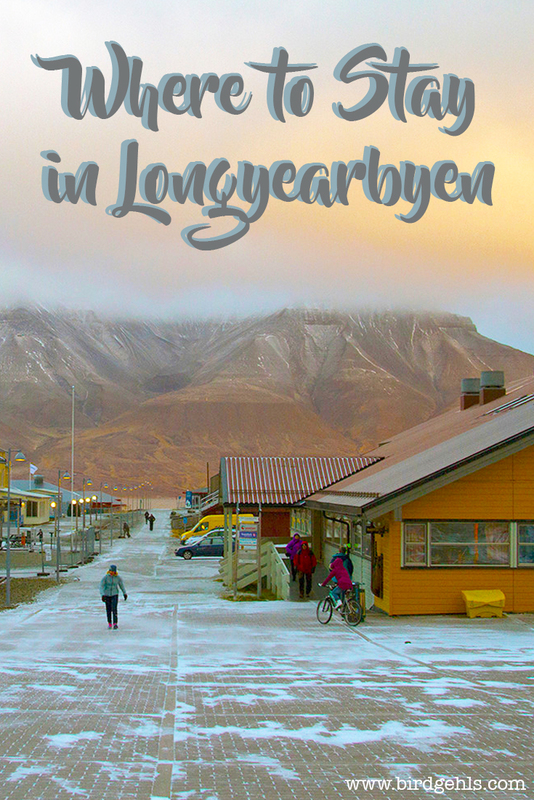 Have you been to Longyearbyen? Is that an ACTUAL polar bear on the wall?!? Cray! I’ve had several “cabin in the woods” experiences — once or twice in actual woods — but none of them seem anywhere near as cool as yours! It is! There were stuffed polar bears all around town – on walls, at the supermarket and airport. It was a bit discombobulating! Ooooh, that cabin hotel does look good! 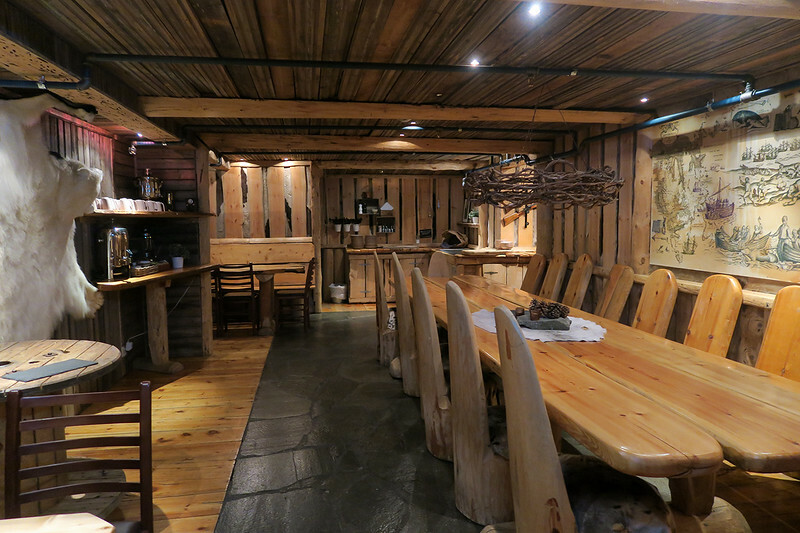 I assume breakfast is a communal affair given the fabulous timber table in the Polar Bear Hall?? It was! I could eat breakfast there every day. That’s gotta be one of the coziest cabins I’ve ever seen in my life. Great post! Cosy is the word to describe it! Thanks James.